← DIY Beer Robot Controlled By a Wiimote! Inspired by the ball maze at Google I/O 2011, I decided to go and raid my parents’ house for the ball maze I grew up with. 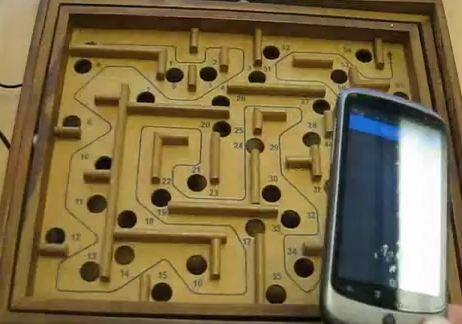 When I found it the challenge was set: I had one night to develop the hardware and software to control the maze using my Google Nexus One, using only what I could find in my (sadly very small and limited) workshop. I started at about 7pm and by 5am the next morning it was complete. I might add that this is my very FIRST Android project aside from Hello Android, and I can’t even claim to have written very much at that. It was a duct-taped together mashup of Demokit (provided by Google), and various accelerometer demo code samples provided around the web. Sorry about the fluorescent lighting reflecting off the screen of my phone, hopefully you can see everything. Check out more interesting categories: Arduino, Circuits, Featured, Featured DIYs, Featured Gadgets, Featured Hacks, Gadgets, Nexus One, Smartphones. DIY Accelerometer Controlled Marble Maze! LG Optimus is LG’s First Android Phone with 2.2 Froyo! Android Hack – How to Make a Serial Connection to your PC via Custom Modem! 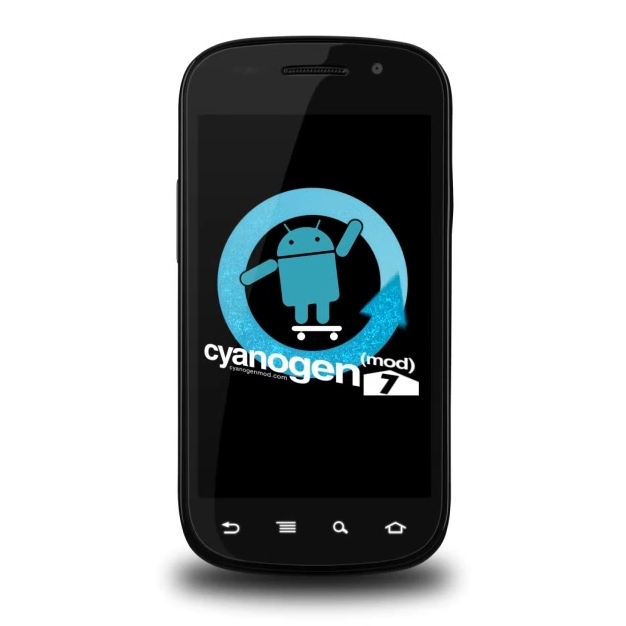 Nexus One Hack – How to Enable Multi-Touch on your Nexus One! Google Android Open Source Official! 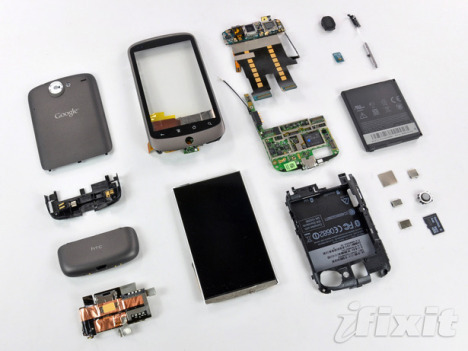 Google Nexus One Dissected, $174 in parts!